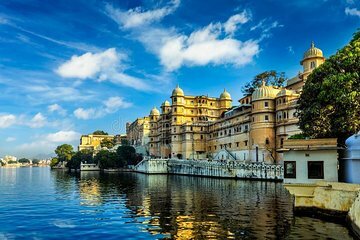 Visit two of Udaipur’s key attractions on a private tour to the City Palace Museum and Jagdish Temple. Learn about the history of each location and the former Mewar Kingdom of India. After soaking up all the history at the City Palace, enjoy a shared boat ride across Lake Pichola to the Jagmandir Island Palace and end the tour at the ancient Jagdish Temple dedicated to Lord Vishnu.